*PLEASE SEE FORMS AND APPLICATIONS TAB TO PRINT REGISTRATION FORMS, CAMP STAFF APPLICATIONS, HEALTH FORMS, ETC. Iron County Summer Outpost Camp allows area youth grades 6-8 to build on their leadership and teamwork skills. 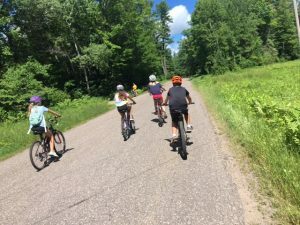 In the past, campers begin with a 20-mile bike ride to their campsite at Lake of the Falls Campground, where they spend two nights. On the last night, they canoe five miles to an island campsite. On the last day, the youth canoe one mile, bike 20-miles, and have the opportunity to mountain bike at WinMan Trails. 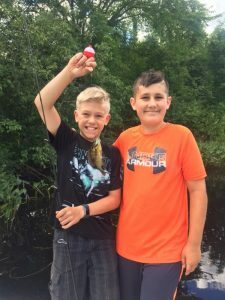 The campers build stronger friendships through physical challenges and a rustic camping experience. Outpost Camp is a great opportunity for community youth to gain independence. If you have any questions about enrolling your child in Outpost Camp, please call Neil Klemme at 715-561-2695. Thank you to our sponsors, we could not have camp without your help.